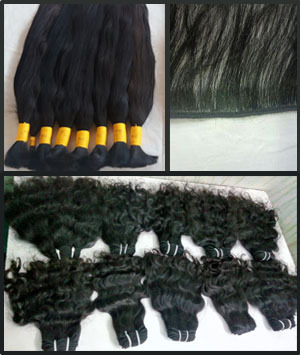 The hair we sell is 100% virgin natural unprocessed Raw human Hair direct from temples of south india in particular from Tamilnadu, Pondicherry, Telangana & Andhra Pradesh. Pricing includes Free Shipping worldwide, Packaging & Forwarding and Paypal Fees. The Hair we sell is picked up from temples in South India and not chemically treated or processed. You can pay instantly by using Paypal. due to availability of ready stock You will be informed immediately the status of dispatching time. You will be informed the tracking number as soon as dispatching is over. Once you complete the transfer/ Deposit, send the Payment details to info@comfortindianhairs.com. Send Money to India in the Name of Deepalakshmi sezhian payable at Pondicherry, India.